The Brother ETPDISCL24 Disney Classic Embroidery Thread Kit features 24 of your favorite Disney Colors to correspond to the Brother Disney Embroidery Designs built in your machine and on Brother Embroidery memory cards. 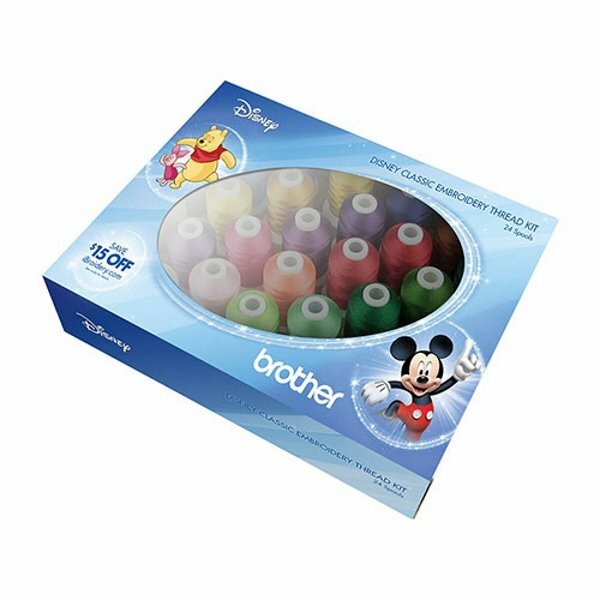 The Brother ETPDISCL24 Disney Classic Embroidery Thread Kit contain 24 spools of thread that is 100% polyester. These spools are color fast, high shine, 1,100 yard mini king spools.